of the twelve days of Christmas. So this fragrance is the masculine pillar for Cartier. However, I wear this fragrance day in and day out. It's one of the most beautiful men's fragrance I've ever smelt. It has such an uplifting scent filled with a woody nectar yet still is pure and airy. Even though it is a men's fragrance it's soft enough to be a beautiful unisex perfume. Additionally, the glass bottle and packaging for this fragrance makes it even better to gift! This perfume is the feminine pillar of Cartier's fragrances. The panther is the symbol of femininity which Cartier believes to be 'divine, exquisite and rebellious'. This perfume is filled a floral, yet feral scent. The gentle hints of musk evoke such a beautiful and rebellious personality of the panther. If you're looking for a feminine perfume that seduces with her wit and liberty, this will be your girl. We are giving away two perfumes - one for a male and one for a female. Tag the person would you love to share this moment with on this Instagram picture (here), make sure you're both following me as well! Cartier fragrances available at various Woolworths and Edgars stores in South Africa. I used to gift myself with a key-ring/bag charm from Louis Vuitton every year after I had accomplished something well. What I love about bag charm's is that they essentially can double up as a key-ring. I believe a key-ring is such a beautiful gift, because not only are you gifting someone just a gift but you're gifting someone something they will carry with them everywhere - the key-ring to their heart! (cheesy, I know but it's cute). If you would like to stand a chance to win a mini giveaway of beauty goodies then comment a heart emoji on this Instagram picture (here). So this bag is amongst one of my favourite bags this year. The new Bvlgari Serpenti Forever collection of bags are beyond amazing! 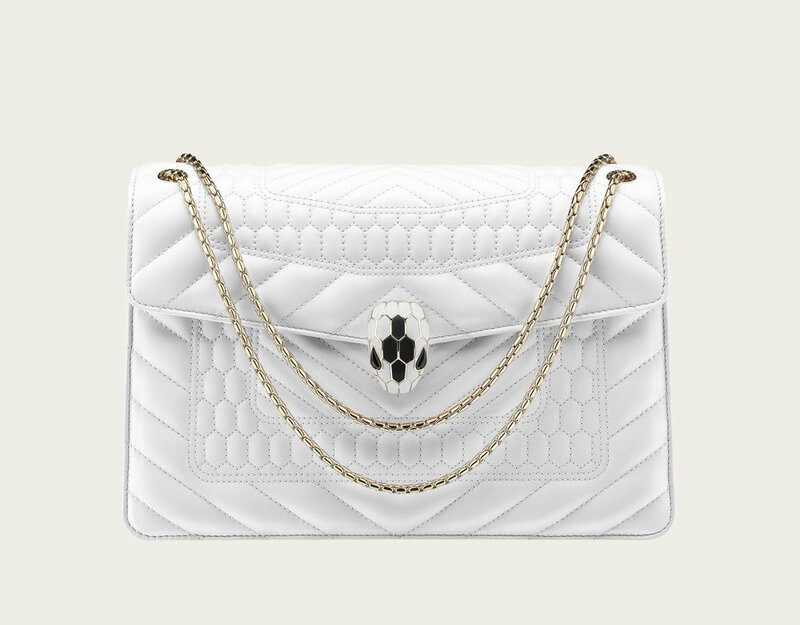 BUT this specific white bag featuring the 'Quilted Scagile' motif creates such a beautiful aspect to the bag is such an elegant way. This bag is definitely an investment bag but it's one you won't regret. What I really love about this bag is that you can wear it on any occasion, casual or formal. This bag definitely returns on my wishlist again! When this pillowcase first came out I was obsessed. I am still obsessed. For me, clean linen is so important better yet, if you travel quiet often you'll know that clean linen is vital for not only your skin but your peacefulness. What's so special about this pillowcase? The brand uses pure mulberry silk, the highest grade of the natural fibre known for its lustrous long strands and luxury quality. The smooth texture will not only reduce friction to prevent skin tugging but it will also prevent destroying your hair whilst sleeping - meaning more peaceful sleep! The Slip Pillowcase is the perfect gift someone who loves to wakeup looking flawless but also is hygiene conscious - plus it comes in beautiful matching packaging, which makes it perfect for gifting! I love marble trays or decorative trays in general. They are the perfect gift for someone who loves their home and decorating it. Trays I really love how trays are multi-functional. I am obsessed with using a tray to display all my favourite perfumes or beauty products in the bathroom. Simplistic yet everlasting functional decor pieces like trays are perfect for the minimalistic and design savvy lovers. Whether you're using them in the kitchen for food display, bedroom for jewellery display or candle displays they are the perfect piece to gather and showcase essentials across your home. This is the perfect gift for a home lover - so stack it or style it and let them make it their own. Would you like to win a voucher worth R2000 to spoil yourself at Poetry Stores? Poetry believes each piece has a story to tell. All you have to do to enter is, tell us what story does your home tell? A collection of Poetry Boards available here . Jewellery always hold beautiful sentiment. These Mayfair Jewellers Diamond Halo Earrings are part of a new exclusive collection. The collection is one of Mayfair's first collection that include three matching pieces - a ring, a necklace and earrings. However the beautiful thing about this collection is that the pieces are sold separately so they look exceptional individually or worn together. I am obssessed with collection and fell in love when I saw it but the earrings have a place in my heart. I love how pieces like this can be gifted to any woman in your life, from your love to mother to sister to daughter. They are exceptional classical pieces that last generations in the family. The emerald cut illusion diamonds in the necklace and ring create a beautiful illusion of one big diamond which give a stunning three-dimensional sparkle... so if you're ready to glow up next year this collection is for you. In order to celebrate the Holiday Season with you, Mayfair Jewellers will be gifting one lucky follower a 18 carat rose-gold link Tacori bracelet worth £450! 1. Follow @mayfairjewellers and me (@willkatelady) on Instagram / 2. Comment a diamond emoji 💎 and tag a friend on this Instagram post (here). That's it! To discover the full collection visit here . Replenishing your skin is an extremely important step when it comes to skincare especially after the holiday season with extreme weather conditions. These two products are the basic essentials that I literally can not live without. If you open my bag, where ever I am - I have these two babes - the lip balm and hand cream. The La Mer Replenishing Kit is like an absolute lifesaver / emergency kit for any beauty fanatic. The other great thing, is these babes are the best travel companions because of their size. Amongst, many other product of La Mer - these two are in my top 3 La Mer beauty skincare guide. La Mer has many amazing ranges just for Holiday season available online and selected stores. If she's a beauty-lover she'll thank you forever more! Discover more limited-edition holiday treasures (here) or shop below. Why would you need the La Mer this replenishing kit? La Mer available at Edgars and selected Woolworths stores in South Africa. Time is something so precious and valuable. The gift of time is something that should always be treasured. Watches are the perfect gift because not only is it a gift that can be kept forever but it also a gift that can not be replaced - time. IWC Schaffhausen watches hold so much heritage and sentiment to them that anyone who receives one of these watches would be in for an eternal treat. This IWC Da Vinci Automatic Moon Phase 36 watch is a watch from one of my favourite collections that IWC have because of the story behind it and the craftsmanship that goes into the watch. This is a watch that would holds so much beauty in it. "The watch fits perfectly on the wrist, making it extremely comfortable to wear. With the Flower of Life engraved on the case back, IWC pays tribute to Leonardo da Vinci’s tireless search for mathematical rules for beauty and proportions." IWC Schaffhausen watches available at Elegance Jewellers Boutique in South Africa. For International stockists - shop below. Candles create the perfect cozy environment at home. I have loads of various candles at home but one of my favourites are Diptyque. The thing I love about Diptyque products are the stories they have behind their products. This holiday season Diptyque has a collection of three different scented magical candles that can be bought separately or in a box of three. This blue Diptyque candle, was my favourite. This blue candle has a mythical bird on it, the Phoenix - an animal that is born and reborn of its ashes like magic. The scent of this candle creates such a captivating combination of frankincense and a hint of vibrant Cinnamon combined with Myrrh. Blue is also a colour that symbolises the heavens and the immorality of this animal ability to read people's hearts. How beautiful? Another reason why this beauty deserves to be in any home. To win a Diptyque surprise, comment on my previous Instagram post (here) and let me know what mythical creature is on the blue 2017 Holiday collection candle? This Holiday Season range will be available at: Skins Sandton and Edgars Mall of Africa only in South Africa. For International, shop below. I've been wearing Wolford for as long as I can remember, I love their bodies and socks the most. I love how their bodies are such great quality and wearable on any occasion. This Wolford sheer string body is part of their Christmas Collection 2017/18 - which makes this a special gift for a woman that loves quality and timeless essentials. One lucky person will be winning one pair of Wolford's glittery socks, perfect for for the Holiday season with heels or flats. Which knitting technique is Wolford most famous for? Visit Wolford Hyde Park or Mall of Africa for more. I never knew how blankets could be the perfect gift until I grew up. Today, is my late gran Kate's birthday and the one thing she loved were beautiful knitted blankets. When she passed on I kept her blankets as a token of her love and memory. It is the best sentimental gift that could travel through generations. There is so much sentiment that lie in personalised gifts. Blankets are perfect for creating a cozy and warm atmosphere at home. This one is from Butterscotch Blankees. They have a variety of beautiful personalised throws and blankets to choose - which makes it perfect for gifting! Head to my previous Instagram post and comment a heart, to win a mini surprise giveaway (unfortunately, it is not the blanket) ! 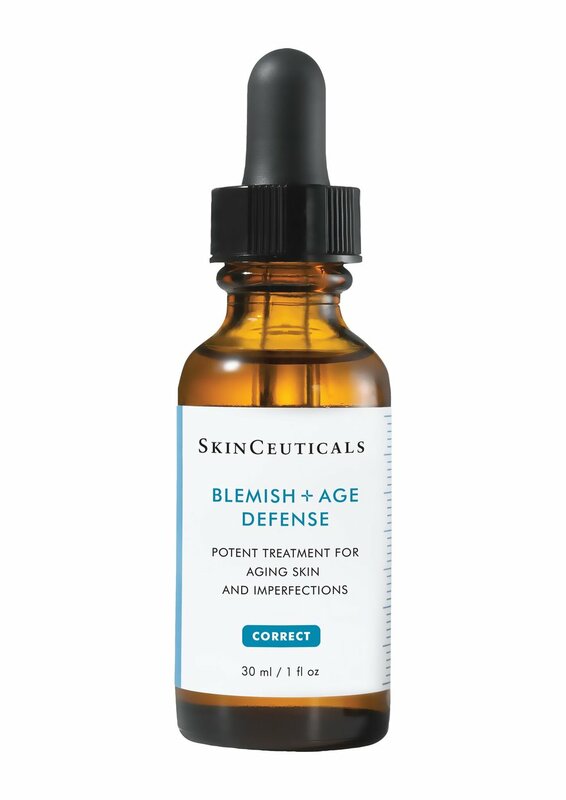 A lot of you will know that I have been using SkinCeuticals Blemish + Age Defense treatment for a while, which really helped me with my blemished and acne scarring skin. This product is every one's dream come to true. If you're looking for a gift to spoil yourself with and you experience oiliness, hyperpigmentation, uneven skin, acne scarring and aging then this product will change your life. One lucky person will win a SkinCeuticals hamper with two of my favourite products, Blemish+ Age Defense potent correcting treatment and Ultra Facial Defense Sun Screen valued at R1805. All you have to do to enter is, comment and please tell me on my previous SkinCeuticals Instagram post (link here). What SkinCeuticals #DareToGetEven correcting treatment serum can you can win today? Don't forget to use the hashtag #DareToGetEven in your comment.